Contact Us We are located in Oroville, California. 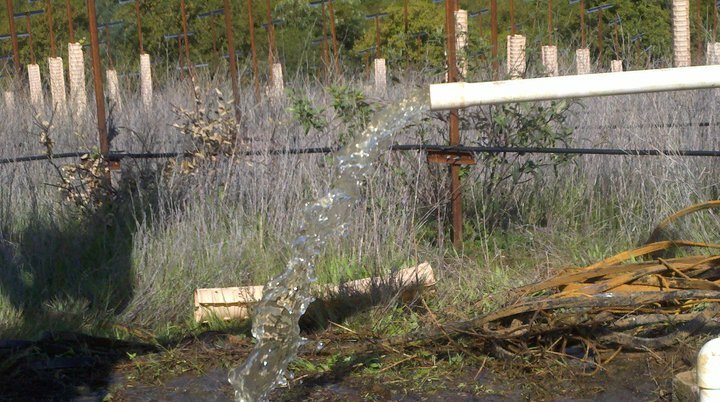 If you have or need a well, please give us a call or drop us an email today. Iron Bacteria! 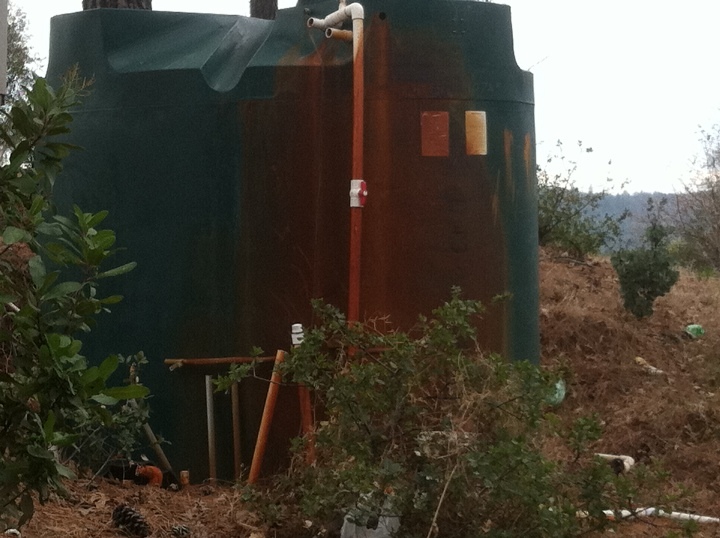 Here is an example of a well that has a bad iron bacteria problem. A way to get rid of this is to chlorinate your well every six months. 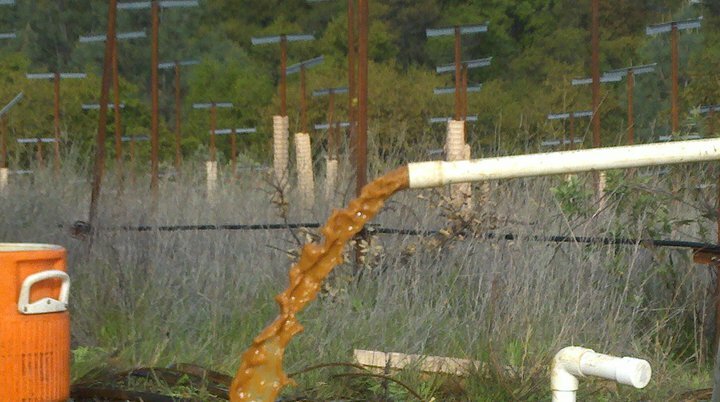 Remember, you are your own water district! Well Caved-In! 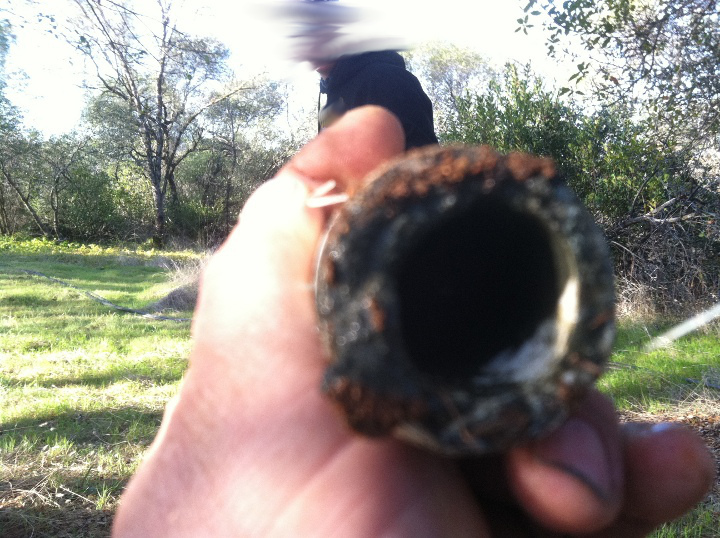 Here is a shot of a client who called and said his water had real dirty water coming out his well. Precision Pump came out to the job and found his pump was clogged with mud and sand due to a cave in. We brought the pipe up and flushed the whole system. Our client now has clean water!